Holiday trips are not just about exploring new places and experiencing a new culture, it is also a chance to taste the amazing local food! Meal times are one of the highlights of these getaways especially when you travel to Chiang Mai, a northern city in Thailand. As one of the famous Thailand tourist places, Chiang Mai boasts incredible natural beauty, rich cultural heritage and a range of mouth-watering local food! 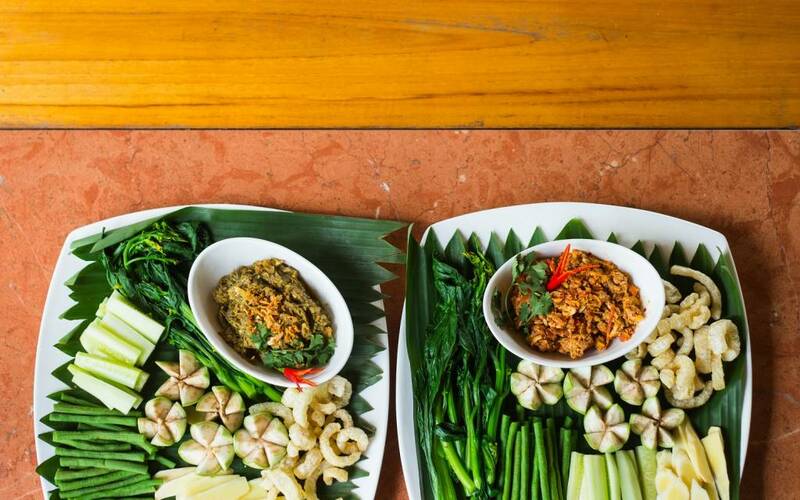 Complete your Chiang Mai travel itinerary as we take you on a delicious journey to taste the city’s famous local dishes! 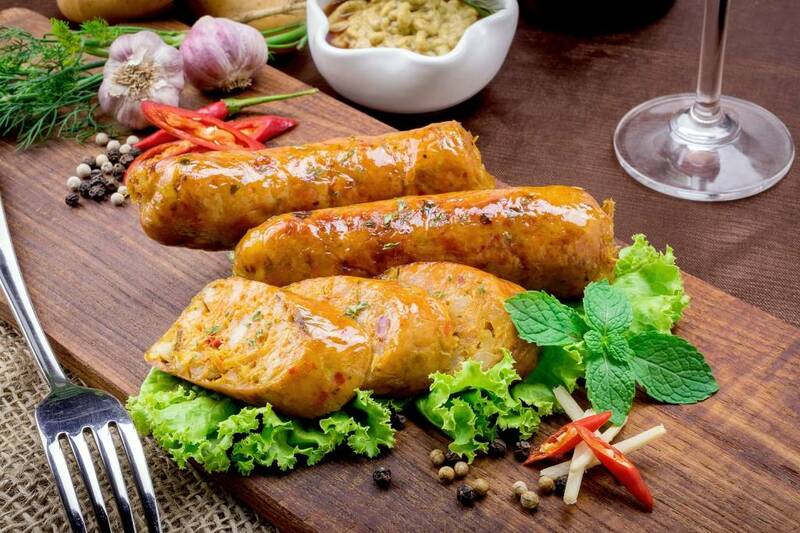 Get a lovely head start on your Chiang Mai vacation and try out Sai Oua, a grilled herb sausage that may look similar to the northeastern-style sausage but is totally different once you get a taste of it! 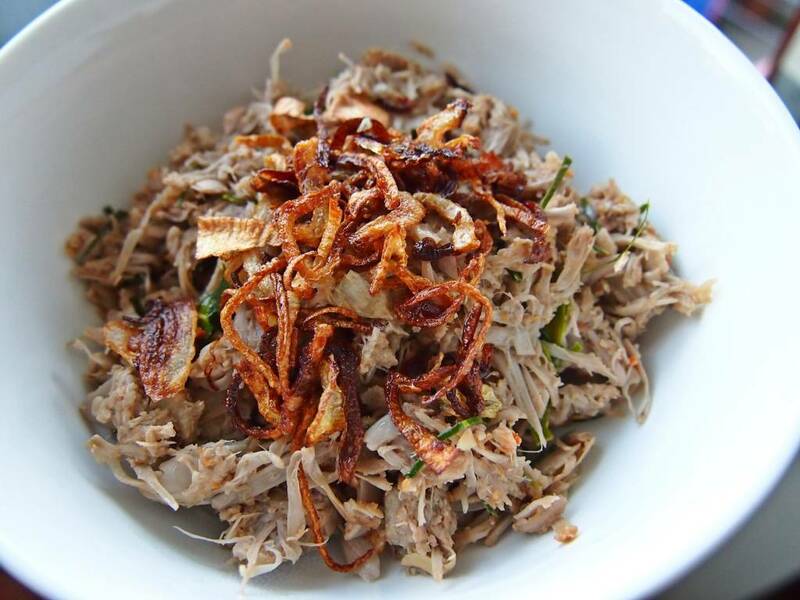 Made from ground pork, garlic, shallots, dried chilis and a variety of herbs and spices, sai oua gives off a meatier, flavorful taste that is rich with herbal aromas. 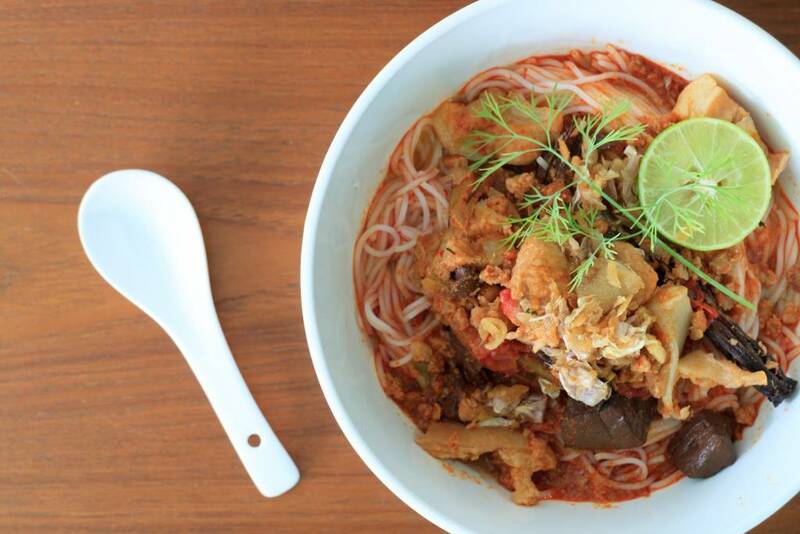 Khao soi is one of Chiang Mai’s most famous dishes. 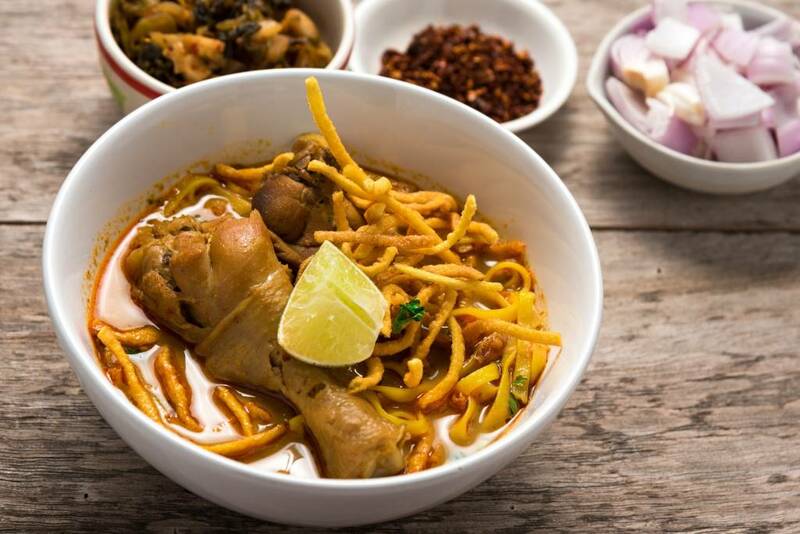 An egg noodle curry with your choice of chicken, pork or beef, served with pickled cabbage, spring onions and slices of lime, the savory taste of the rich yellow curry noodle soup will leave you asking for more, especially with its small serving. In between going to different tourist attractions and prominent places to visit in Chiang Mai, make sure to stop by the Old Chiang Mai Cultural Center to try Khantoke, the signature Lanna dining experience. 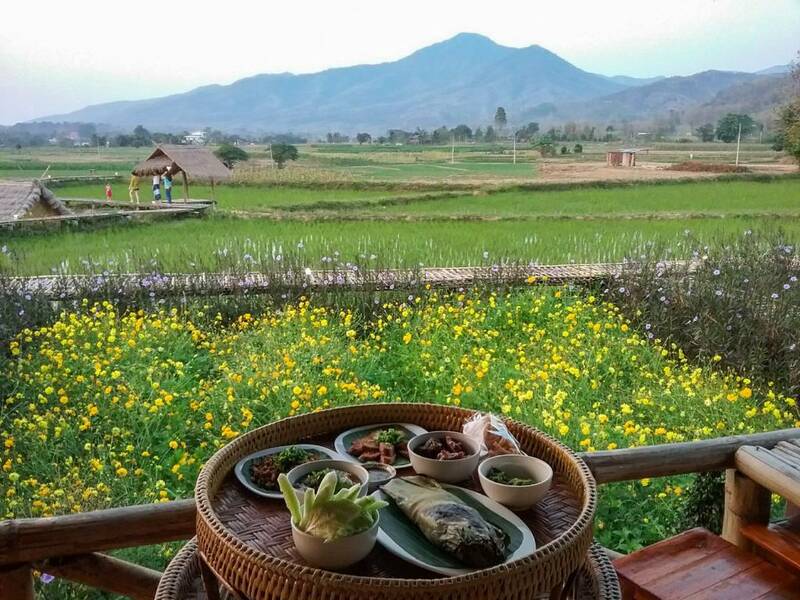 It’s a traditional Northern Thai banquet where guests are seated on bamboo mats on the floor and a variety of northern Thai dishes are served on the table. Some of the food include chicken curry, Burmese style pork curry, sticky rice, vegetables and a chili dip. This Thai dish made with chili paste, tomatoes, dried fermented soybean, pork meat, ground pork and cubes of pig’s blood tastes salty and less spicy compared to other food in Thailand. 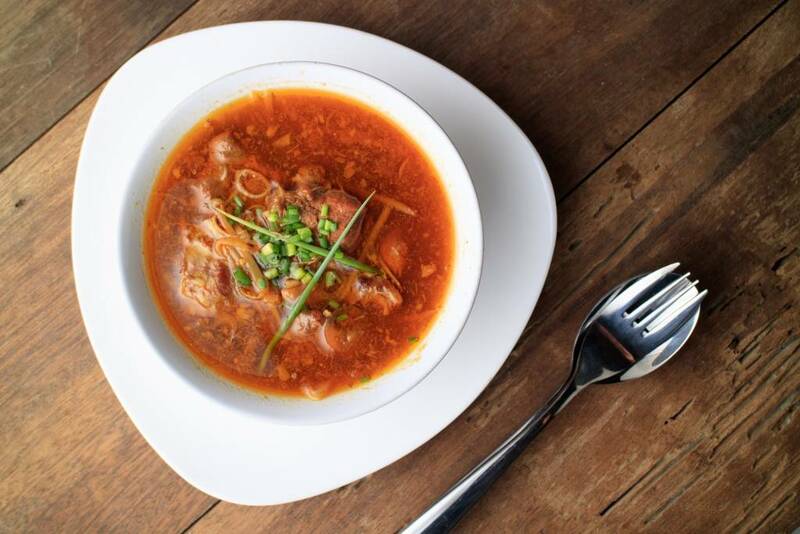 The soup is refreshing and light, perfect for a lunch option to get you energized for a day of jam-packed Chiang Mai travel itinerary. Gaeng Hang Lay is a tamarind-based soup with shallots, shrimp paste and pork chunks. This dish originated from Burma but the Thais have made it uniquely their own by using less oil. It has no coconut cream so the soup is light and less thick than green curry. Thais love their condiments and no dish is complete without it. 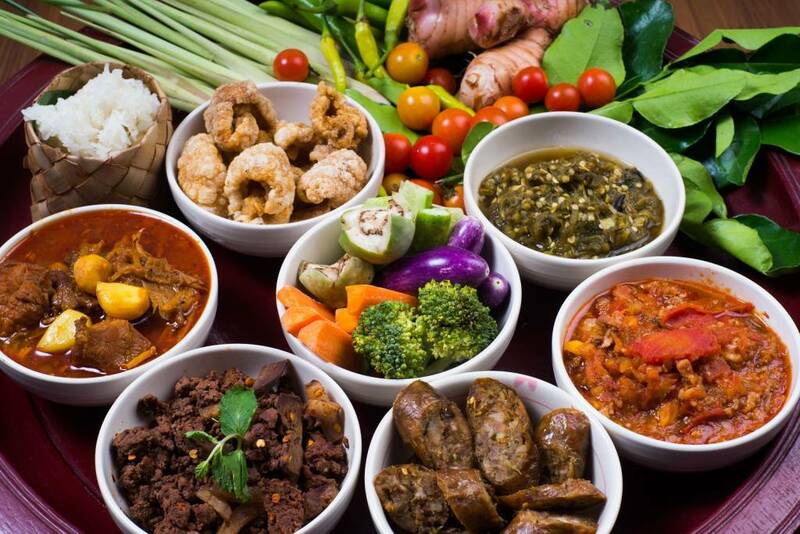 The nam prik ong/nam prik num which is the red and green chili dip duo is one of the most well-known northern-style chili dips and is usually eaten with steamed vegetables, crispy pork skin or sticky rice. Made with roasted chili peppers, the green chili dip or nam prik num will leave your mouth burning even after just one bite. If you can’t handle too much spiciness, the red chili dip will be more suited for you as it tastes slightly milder. If you’re into healthy food, you need to make sure you try tam khanun or the young jackfruit salad during your Chiang Mai holiday. Boiled until tender, the young jackfruit is stir-fried with garlic, herbs and tomatoes and then served with spring onions, fried dried chilis and coriander. To complete your Chiang Mai travel itinerary, here are some blog posts to get you started on attractions and must-visit tourist places in the city. Once you’re all set, check for flight booking offers at Bangkok Airways . If you will have a quick stop at Bangkok, no worries because there’s a direct flight from Bangkok to Chiang Mai! For other holiday destinations, visit the Bangkok Airways blog. 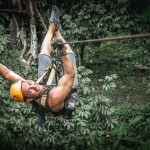 Make it a relaxing and adventurous Thailand vacation as you visit these Chiang Mai tourist places!